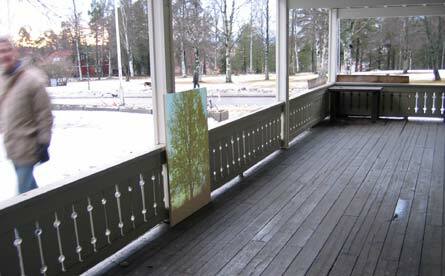 Site specific video- and sound installation with two outdoor video projections and two booths indoors, which were attached to the windows of the gallery. CD-players, headphones, lamps, video camera, video projectors and curtains. 2003. 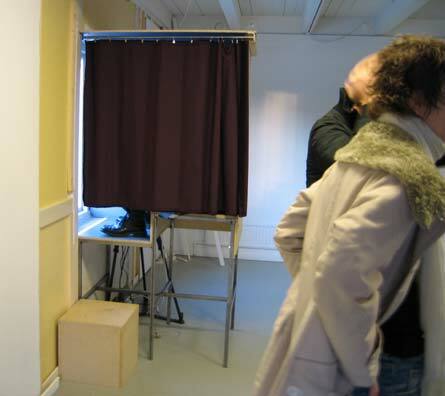 In the booths, three different stories are told. 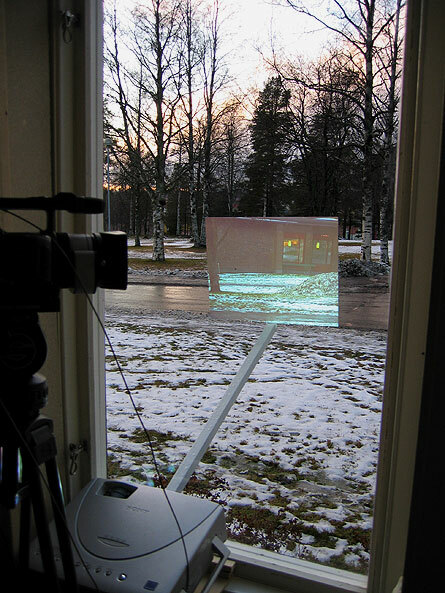 The visitors are asked to focus on the view outside the window, where also video projections can be seen of imagery shot on location, one of the projections are rendered in real time. A voice-over talks about the tourist habit of collecting visual memories, photography and the fashionable use of Claudeglasses in the 18th century. Sometimes the storytelling is interrupted by instructions on where to direct your gaze or how to position yourself as a viewer in the landscape. 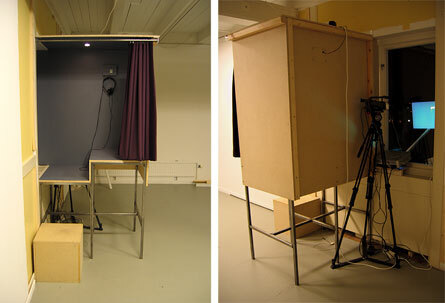 Installation photos from the solo exhibition Receiver-modules / Mottagarmoduler, Gallery 60, Umeå, Sweden, 2003.